Our laboratory is staffed with full-time chemists which provide strong technical support and assist in product formulation. 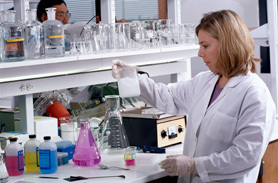 Their ability to work with custom formulations to meet your specific needs ensures the right product for you. Common results for our customer are achieving production efficiencies and reduced product waste.